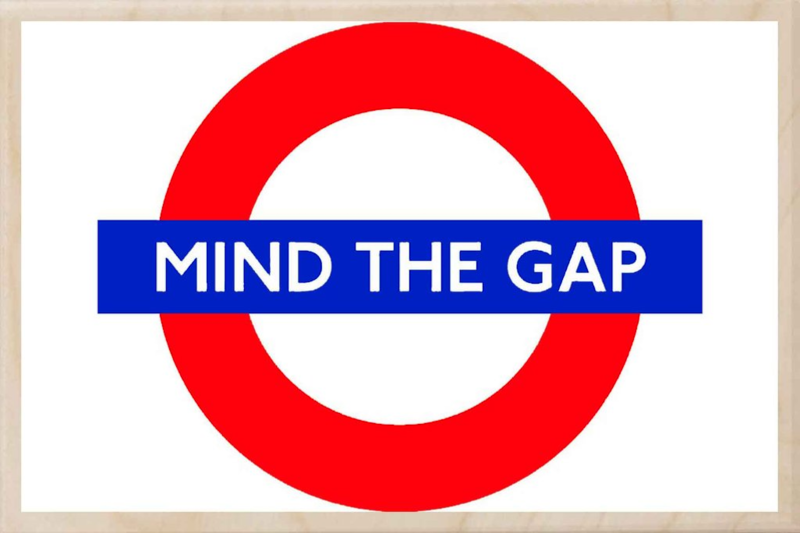 Though not as treacherous as a subway gap, not paying attention to mutual fund expenses can be harmful to one’s fiscal health over time. The difference between a high cost fund and a similar low cost fund can really add up over time and can make a big difference with the lifestyle and peace of mind during one’s retirement. To start, let’s review the costs paid by investors in mutual funds. Investors incur two primary types of expenses: ongoing expenses and sales loads. Sales loads are incurred when the fund is bought, sold or held over time. We will discuss fund sales loads in greater detail in a future newsletter. For this newsletter, we will focus on the ongoing expenses of fund ownership. These ongoing costs pay for portfolio management, accounting, administration, marketing and salespeople for a mutual fund company. High and unnecessary mutual fund fees can be an unrelenting drag on performance and long-term goals for investors. By keeping fund expense costs as low as possible, investors can keep more of their hard-earned profit for the power of compounding growth over time (click here). Today, investors have a daunting task of choosing the appropriate mutual fund across thousands of funds totaling over $16 trillion in assets1. Expenses can vary widely across all funds even within same style mutual fund categories. A big difference maker with fees is the distinction between index funds and active funds. An index fund aims to produce the return on a specified index (the S&P 500 index for example). Index fund investing is also known as passive investing since fund managers hold all securities in their target indexes. This style of portfolio management is the main reason why index mutual funds usually have expenses substantially below the fund industry average. By comparison, with active management, fund managers have discretion to increase or lower exposure to sectors or investments within their funds’ investment mandates. Active managers spend a lot more money researching stocks or bonds, sectors or countries. This approach offers investors the chance to earn returns greater than the target index. Despite their dismal long-term track record, active funds continue to charge expenses much higher than their index fund counterparts. In fact, the average U.S. active mutual fund’s annual expenses as a percentage of its assets is 1.28% of assets or $1.28 for every $100. This expense ratio compares to the average U.S. index fund expense ratio of a mere 0.09%, or 9 cents for every $100. Over time, this gap in expenses can really add up. Let’s illustrate with our fund frugal friend Penny Wise, who is diligently saving for retirement. Penny is 50 years old and has done very well thus far in life by saving a nest egg of $500,000 for her planned retirement of age 70. 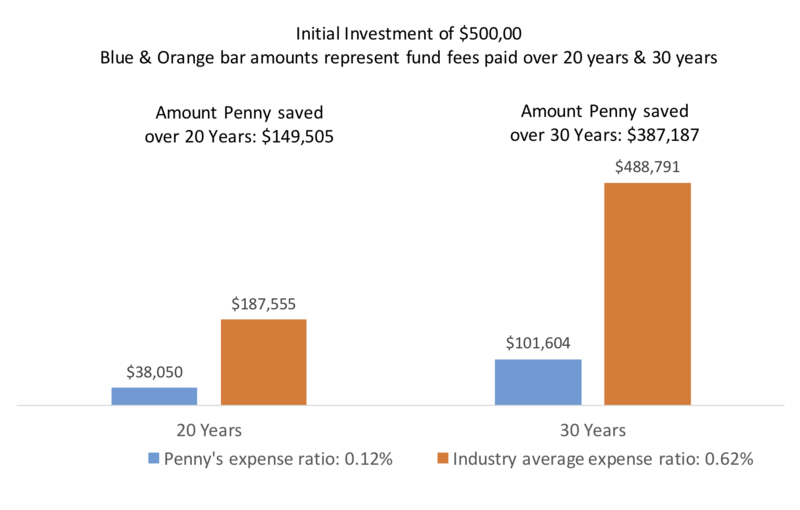 By investing in index funds for the next 20 years at a .12% expense ratio instead of active funds at an expense ratio of .62% (50% lower than industry average), Penny Wise can save an extra $150,000 which can really rev up Penny’s retirement (click here). Start by reviewing your mutual fund holdings and identify if you are paying unnecessary fund expenses especially in poor performing, high cost active funds that are not suitable with your appropriate asset allocation. There are many tools available to use in this exercise including Morningstar’s fund cost analyzer. Don’t limit yourself to analyzing your active fund holdings as there are many high-priced index funds lurking in the market. Some of these funds can be 10x the cost of similar low cost index funds! So don’t put off for tomorrow what you can do for yourself today. Take that first step over the fund expense gap toward successful retirement investing.